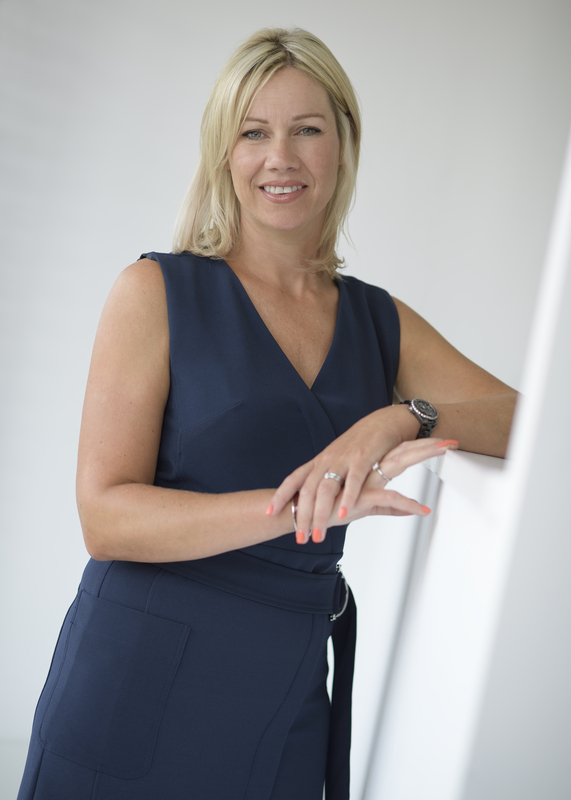 Jayne Sullivan, Operations Director at DOORCO talked recently to GGP Magazine about the evolution of the composite door market and how the only way to stay ahead is to innovate across products, service and marketing. Our connection to the door industry goes back many years, starting out in the family business supplying timber doors, right up to setting up DOORCO and becoming one of the UK’s leading composite door manufacturers. 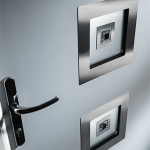 Once seen as an add-on to the window market, there has been a clear switch in recent years that has put doors front and centre of the fenestration industry. The composite door has driven this. Starting out importing just one container load of composite doors directly to our first customer, competing against one supplier that saturated the market, DOORCO is now one of the leading composite door suppliers. It hasn’t always been an easy journey, but the key thing we have learned is that innovation is the only way to keep ahead of the game. Being independent has allowed us to drive our business forward through innovation, providing differentiation in our products and services. In a competitive market, differentiation is key. Being aware of the market, competitors and customers is crucial to the success of any business. But looking beyond this, recognising that we are part of the home design market is vital. After all the front door is one of the most important features of a house nowadays. Fashion can be fickle – what’s ‘hot’ now isn’t necessarily ‘hot’ tomorrow. But equally when it comes to design, interior trends generally filter through to the exterior. Keeping ahead of these trends means paying close attention to how, where and what we need to be offering to our customers. DOORCO already has the widest range of designs and — customers tell us — the best looking composite door finish in the market. But as we evolve we need to do more. We want to redefine composite doors, doing away with simple “traditional” and “contemporary” labels, moving away from standard ‘door-in-house’ imagery and providing something more inspirational than lines of SKUs. Our new brochure is a great example of this. The current brochure seems to have become the template for many; it’s comprehensive, well-structured, well laid-out and our customers love the fact that it can be easily wrapped with their logos and colours. But as a company brochure that really reflects what DOORCO is about, it was time for some more innovation. Our current advertising campaign reflects the style you will see inside the new brochure and is quite different from anything our industry has seen before. Our wide product range is defined by four lifestyle collections – Metro, Rustic, Classic and Deco – each with its own, unique hero image. We may have exaggerated the settings but they’re stand-out for a reason – they demonstrate that DOORCO can provide a design-inspired door for every home in every location. Colour is still the main topic of conversation and colour choices are getting bolder. 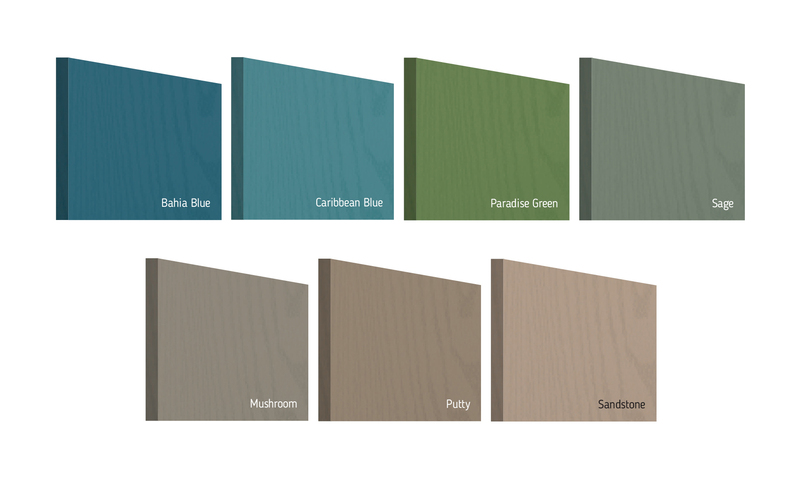 We are introducing eight new colours into our already extensive range of 40 Premium Colours. There are darker blues and greens (Bahia Blue and Moss Green being my personal favourites), bolder shades like Paradise Green and Caribbean Blue, coupled with the earthy and classic shades such as Clay, Mushroom and Putty. 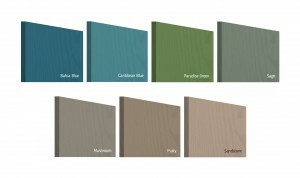 Each palette is designed to support the on-trend lifestyle choices that consumers are making today. The new brochure will feature these new colours alongside popular RALs with a bespoke take on classic colours like Ruby Red (3003), Crème (9001) and Graphite Black (9011) which align to popular aluminium profiles. We pay close attention to the finer details too, including supplying painted drip bars and co-ordinating edgebanding for doors that open-in, to match any colour choice. These inishing touches make all the difference to the completed look – the seamless integration of a front door into the rest of a property’s design, both inside and out. Of course, there is no point in having the best finish and the boldest marketing campaign if you don’t have the means to deliver. Service is just as important and our DOORCO Customer Charter clearly defines our promise to deliver on time, in full and fast. It gives our customers a clear statement that is measurable and that we can be held accountable against. 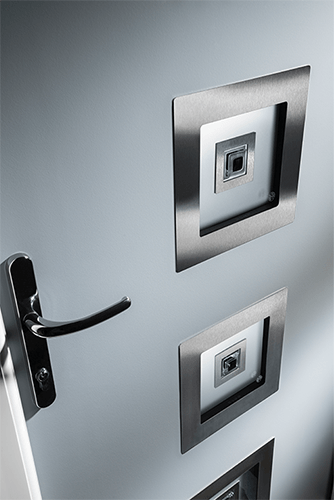 This is backed up further with added-value options like the newly launched glazing service that offers the Inox, Urban or TriSYS glazing cassette systems as a pre-glazed option to all our distribution and prepped door customers. Innovation and attention to detail across our products, services and marketing offers the differentiation our customers need to stand out in a competitive market. Moreover, it gives the homeowner doors that represent the lifestyle choices they desire. Dan Sullivan talked in the recent Glass Times door supplement about the role the composite door has played in the evolution of the door from an “add-on” to an industry leading product group, and explains how the company strives to help their customers satisfy the homeowner through innovation. Since there have been houses there have been doors, in one form or another. Many would say they are an essential part of any home, but for the window industry they have been seen as an add-on product, whereby installers would sell a houseful of windows and hopefully a door as part of the package. Although it has always been a market in its own right, there has clearly been a switch in recent years that has truly put doors front and centre of the fenestration industry. Now installers sell doors as a lead product and might even sell a houseful of windows off the back of an enquiry for a front door. Our family has a strong connection with the door industry spanning many years and my career started working in the family business selling timber doors. The revelation that was the GRP composite door was an opportunity I spotted early on. At the time there was only one supplier that saturated the market, but the market was crying out for more. Starting with one container load delivered directly to our first customer, DOORCO now imports (on average) 40 containers each month. Some of these go directly to our larger customers who do their own fabricating, while the rest is distributed through Macclesfield, either as a slab or fully prepped door, depending on what each customer requires. Throughout this journey the market and the product may have evolved, but the core USPs remain the same – an external door with an unparalleled balance of security, aesthetics and low maintenance. The world of home design is fast moving – what’s hot now isn’t necessarily hot next year. Keeping ahead of the game is imperative for any business or product looking to maintain or even better grow its market share, and innovation is the key. DOORCO’s independence allows us to do just this. Take LINKS as an example: composite doors had earned their place as the “perfect timber alternative” and we still sell plenty in this style. But at the same time, we recognised that aluminium was a sunrise product enjoying a rapid resurgence in the window market, so we focussed our R&D on developing a composite door to compliment the look the consumers were striving for. Launching at FIT 2017 generated curiosity and interest – from then on popularity has grown for the simple reason; there is (still) no alternative composite door on the market and DOORCO customers get behind new innovations as they like something new and unique. We have ensured our customers are ahead of market trends through innovation. Our new brochure is the next example of DOORCO’s innovation. As our product range has evolved there were lots of changes to be made and this gave us an opportunity to look at not just the design but the whole concept. Doors are now a lifestyle choice and this is how we wanted to portray them. 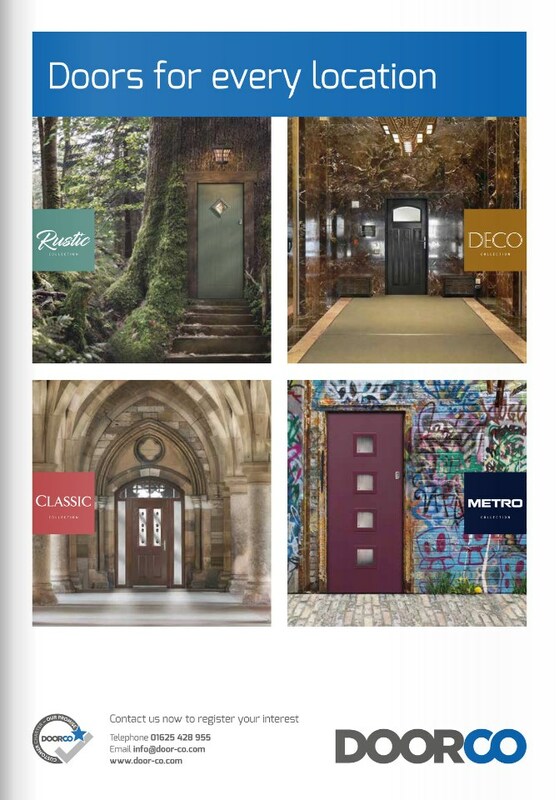 Rather than just “traditional” or “contemporary” collections with pictures of door fronts or lines of SKUs to provide broader inspiration, we’ve created four lifestyle collections – Metro, Rustic, Classic and Deco. Each one has its own unique hero image. We may have exaggerated the settings but they stand out and are intended to demonstrate that DOORCO can provide a design-inspired door for every home in every location. In a buoyant market where competition is rife, as a supplier we must sell the best products that pass all the relevant testing and exceed (where possible) all the current regulations and standards. We must offer choices that are relevant and desirable to the end user – the homeowner – but most importantly we must help our customers to offer differentiation. Whether that’s products or marketing support, we must do it well. Today, it is all about service. 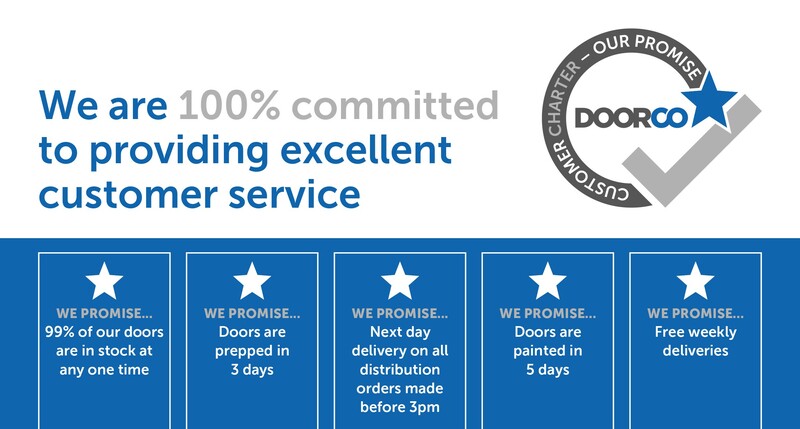 Our recently launched customer charter clearly defines DOORCO’s promises to deliver, on time, in full and fast. We’ve been gearing up to this over the past 18 months with investment across the whole business, from manufacturing, prepping and distribution to our team and business infrastructure. By setting this charter we wanted to give our customers a clear statement that is measurable and that we can be held accountable against. There is no point in just talking about how good you are, it’s the delivery that counts. 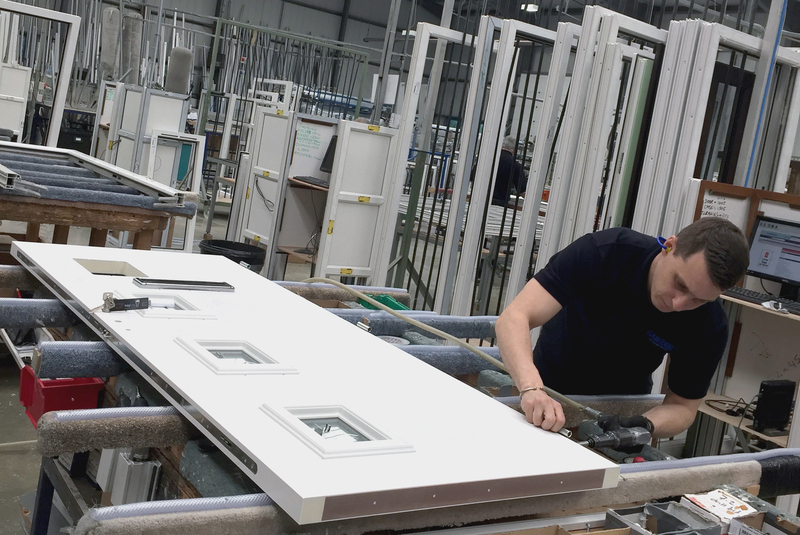 Everything we do at DOORCO is about offering differentiation in a competitive industry, putting our customers at the forefront of the market and enable them to deliver to the ultimate customer, the homeowner. As a longstanding industry name, with almost 20 years trading under its belt, The Glazerite UK Group is a leading supplier of windows, doors and conservatories to the UK market place. Built on the desire to excel in service and product quality, the company continues to broaden the scope of its product offering to ensure it keeps ahead of the market and does this with the help of like-minded suppliers, such as DOORCO. 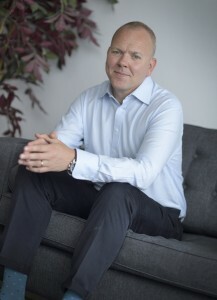 Jason Thompson, Group Managing Director at Glazerite, explains: “DOORCO continually develops and expands their product offering – the Inox and Contemporary range launched recently are testament to that. This is great for us as it means we can stay one step ahead of what our customers are asking for. We’re seeing a definite move away from the standard colours and designs as everyone wants something different. 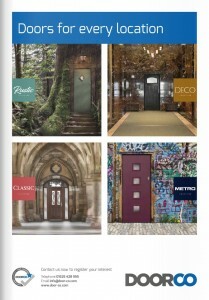 With DOORCO’s help, we’ve just launched our new door brochure including their new product ranges. They’ve supported us with supporting our customers. It’s been really well received and we’ve had lots of enquiries for the Contemporary range and smooth finishes.